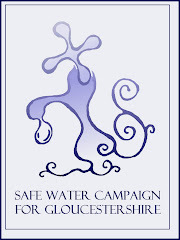 Safe Water Campaign: South Glos say no? Although I have not yet seen the printed document to confirm, I am reliably assured that the Director of Public Health for South Gloucestershire and his PCT (or equivalent) has decided against applying for a 'technical feasibility study', the normal opening round to engage with the water supplier in a prospective fluoridation scheme. This means that as one of the four unitary authorities comprising CUBA (Counties that used to be Avon), he has effectively put the monty python foot on the whole scheme for 'Avon'.